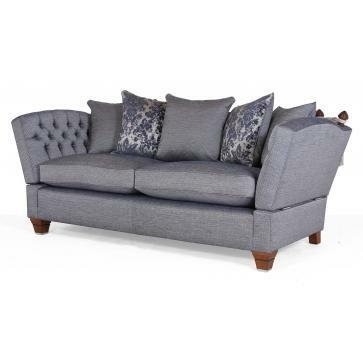 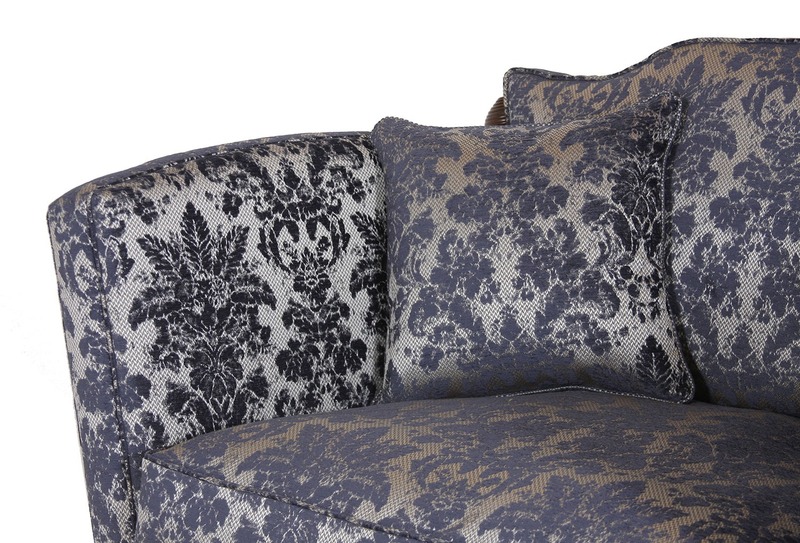 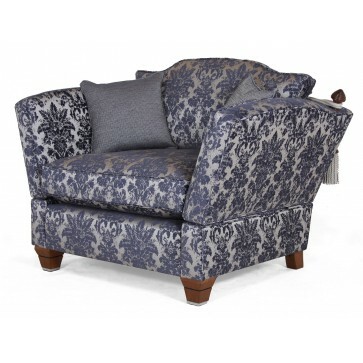 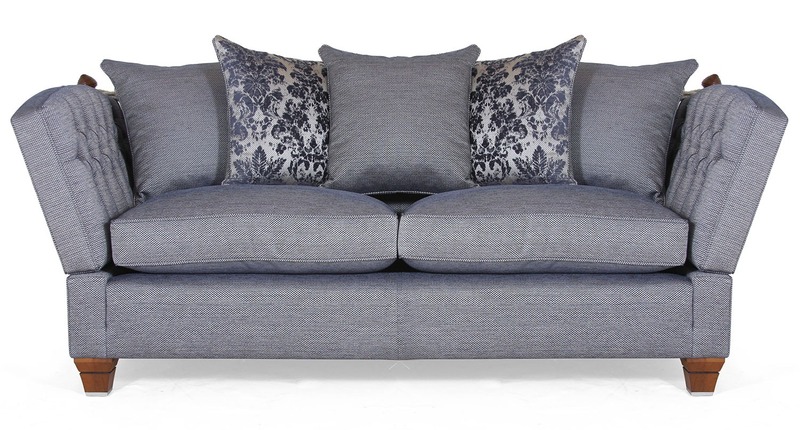 The Richmond is an exclusive knole style sofa with domed drop-arms on nickel plated hinges, held by hand made tie backs on turned wooden finials. 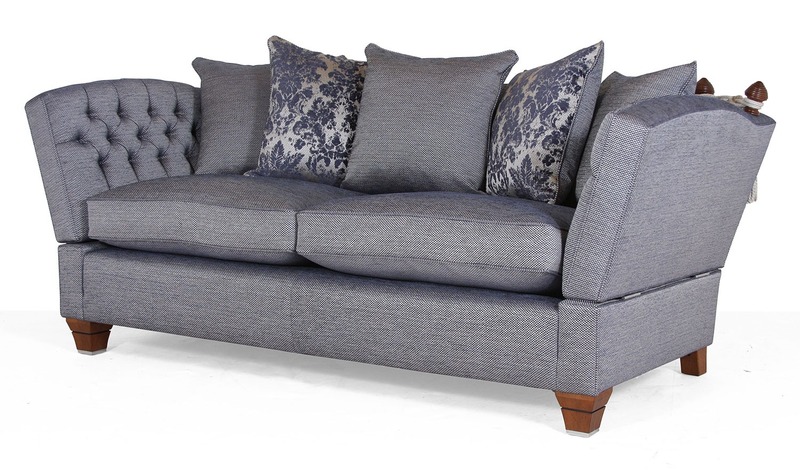 The Richmond is an exclusive knole style sofa with domed drop-arms on nickel plated hinges, held by hand made tie backs on turned wooden finials. 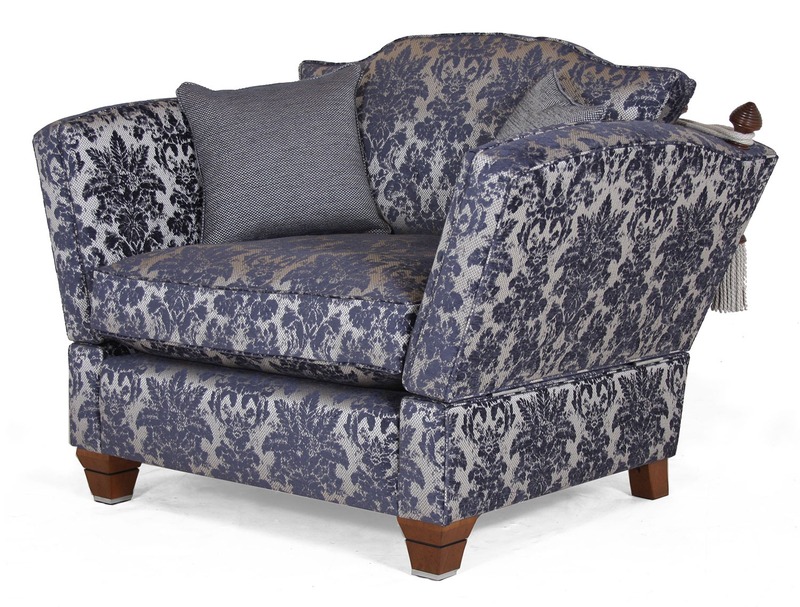 Traditionally upholstered over an English made solid beech frame with fully sprung seat to the edge for ultimate comfort. 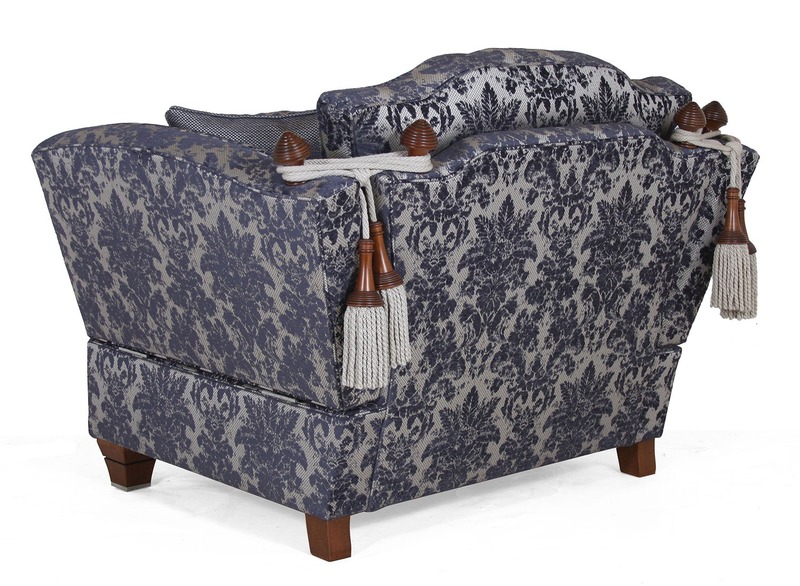 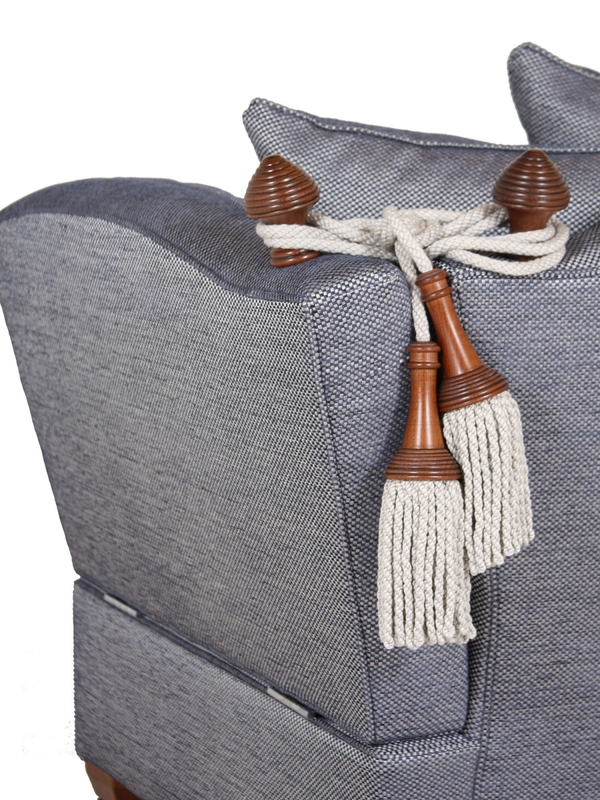 Hand built in England by skilled craftsmen at family owned workshops established for over 30 years. 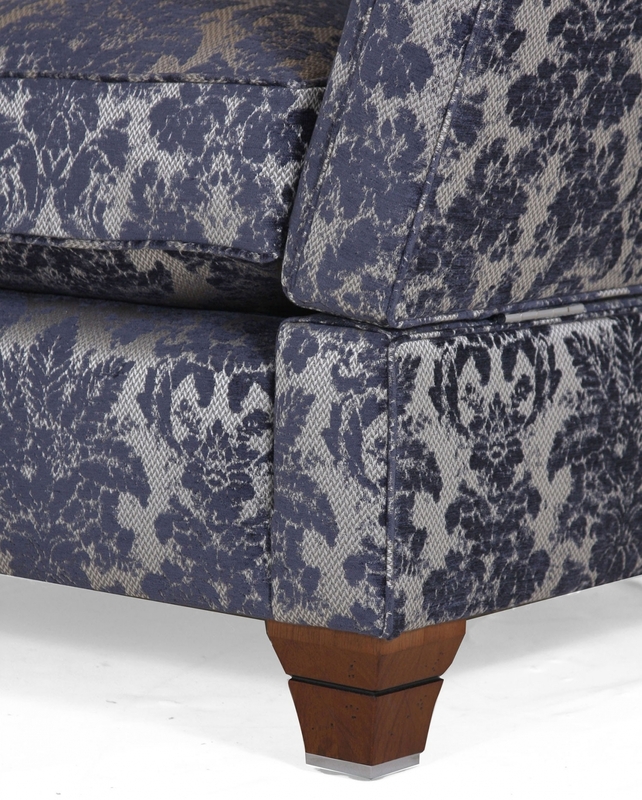 Quallofil is a premium fibre filling for durable seating comfort. 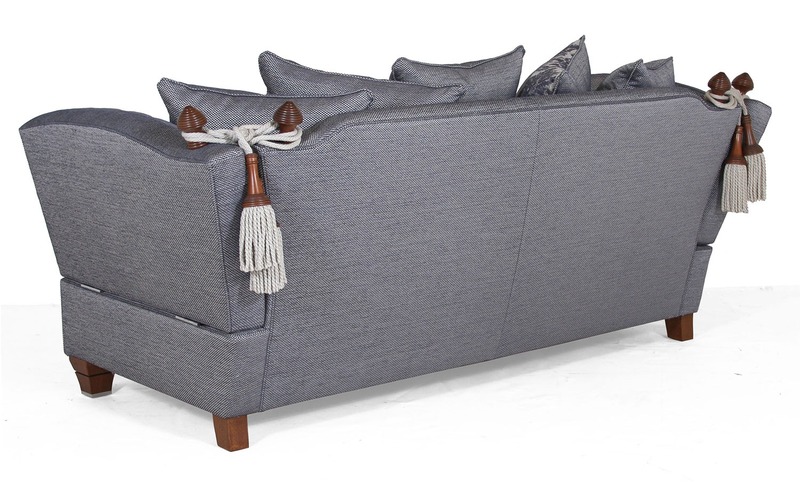 The advanced helicoidal design has superior resillience giving it long lasting performance and helps maintain new look and shape. 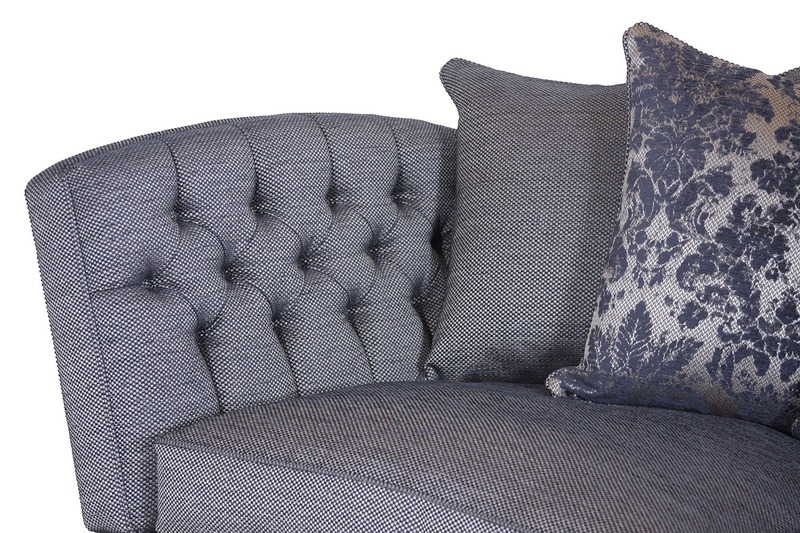 Quallofil gives a feather like appearance but springs back to original shape more readily after regular plumping.